Fun Link Friday: Toyotomi Hideyoshi’s Persian Surcoat | What can I do with a B.A. in Japanese Studies? 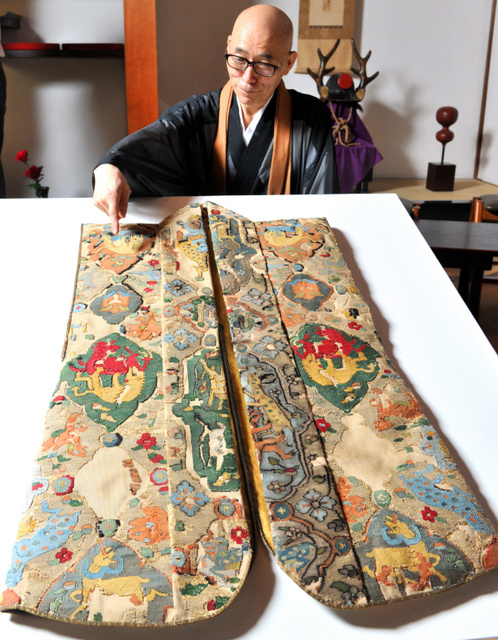 Something for the history scholars today: Toyotomi Hideyoshi’s jinbaori robe has been restored and will be on display in Kodaiji Sho Museum in Kyoto for a few weeks. The robe was made from a Persian tapestry from the Safavid dynasty and is an interesting example of pre-bakufu trade. Read more about its history in the Asahi Shimbun in Japanese or English. Check out more about imported textiles in early modern Japan in Yumiko Kamada’s article “The Use of Imported Persian and Indian Textiles in Early Modern Japan,” available for free download on Digital Commons. This entry was posted in culture, fun links and tagged fun link friday, history, medieval history, Persia, Sengoku, textile, Toyotomi Hideyoshi. Bookmark the permalink.